Bring a classic taste of Italy to your menu. A lot of Americans don’t realize that tuna is a main source of protein used in Italian cuisine. In Southern Italy, Sicilian and Trapani ingredients such as tomatoes, olives, olive oil, garlic and certain types of fish (including tuna), are important components of the local cuisine. 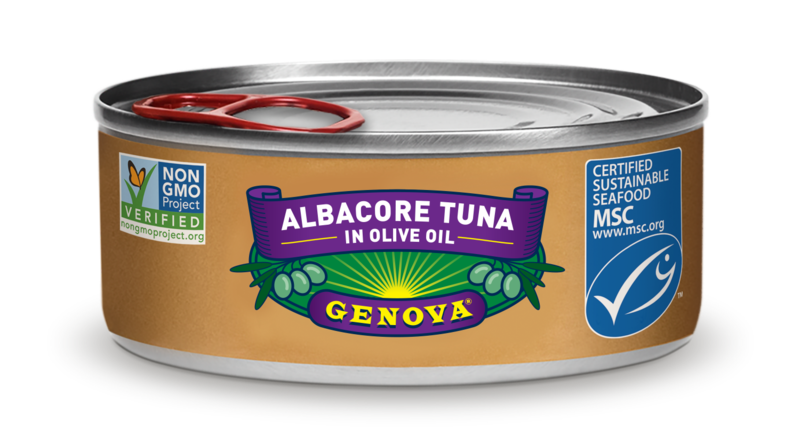 Adding Genova – made with its high quality yellowfin, pure olive oil and just a touch of salt – brings an authentic Italian tradition into your restaurant. The Italian/Pizza segments have the second-highest percentage of tuna mentioned on their menus, throughout the last 3 years, according to Technomics Menu Monitoring Data. Genova is easy to store, has a long shelf life and a perfect pack size for portion control, making it easy for operators to incorporate unique Italian inspired dishes to any menu. Genova is for an operator who is seeking a high quality, great tasting product that can be sold at a premium! Genova 3oz and 5oz cans are perfect for portion control. Genova is shelf stable for convenient and easy storage on the line or with dry goods.